Monrovia – Roundtable on Sustainable Oil Palm (RSPO), the global oil palm certification scheme, and the Sustainable Development Institute, a local nongovernmental organization, are collaborating in a new project to improve the knowledge of actors in the oil palm sector on best practices and conflict resolution. 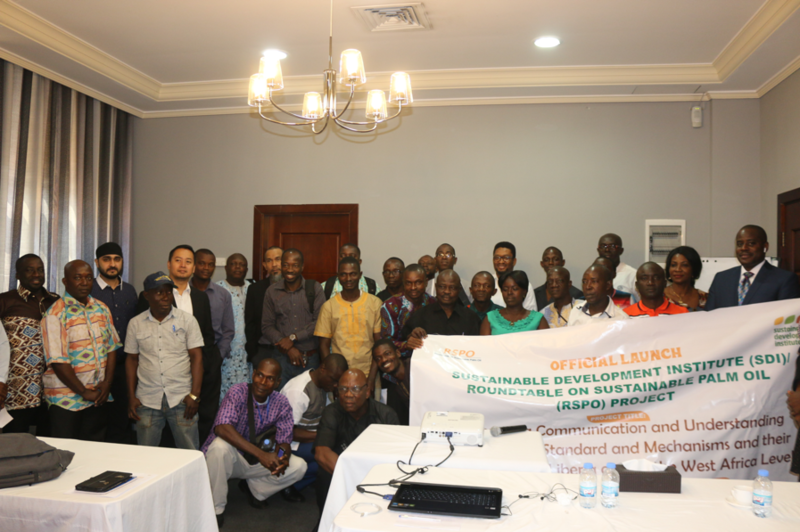 Launched on Tuesday in Monrovia, the project—“Improving Communication and Understanding of the RSPO Standard and Mechanisms and their Application in Liberia and at the West Africa Level”—is expected to simplify principals of the RSPO and complaint reporting mechanisms. It is a one-year pilot, the first in Africa, and, organizers say, it is aimed at mitigating conflicts in oil palm concession communities. James Otto, head of programs at SDI said during the launch that the project would help communities manage their expectations. “There has been this conflict brewing from communities where oil palm are operating,” Otto told the launch. “Like for example we’ve got a community member on tape that said ‘The company said they were going to take us to Jakarta.’ Is that possible?” He asked rhetorically. “What we are trying to do in this pilot is to make people to understand…the principles that within the RSPO and how they can use those principles to get redress instead of doing the usual thing they have been doing: roadblocks, throwing stones, conflicts,” Otto said. SDI is one of a group of organizations that compose the National Civil Society Oil Palm Working Group that engages communities, oil palm companies and the government on a range of issues, including land rights and climate change. Otto said the project would also empower communities to have access to concession agreements and know the clauses inside the agreements. Otto: “In some of the communities where there have been MOUs, the community members don’t even know the contract. Not all of them will have access to the MOUs, and people who are in privileged positions…are the ones who keep the documents to themselves,” he said. Eikplim Dziwornu Agbitor, head of the RSPO delegation said the issue in the Liberian oil palm sector was not that companies were not RSPO-certified and communities did not know about the RSPO, but that each had their own understanding of what the principles were and how they could be applied. He said the three major issues characterize conflicts in the oil palm sector in Liberia: communication, land rights and participation. “Are all stakeholders across the board been involved? Are we reading from the same page? Are we reading from the same book?” Agbitor, who is the RSPO technical manager for Africa, asked. “The answer is ‘not really’. I think that is why we are where we are, because we have different level of understanding and different interpretations to the requirement,” he said. Agbitor narrated that the project came about after an eight-day visit to Liberia in 2018, where he visited oil palm concession areas and held talks with communities and concessionaires. He said the pilot project, if successful, would be used as a roadmap to mitigate oil-palm-related conflicts in other countries. “We all agree that the communities need the companies as the companies need the communities, so we just need to find the amicable ground and space where people can speak honestly based laid down procedure and see what does the requirement say,” he said. 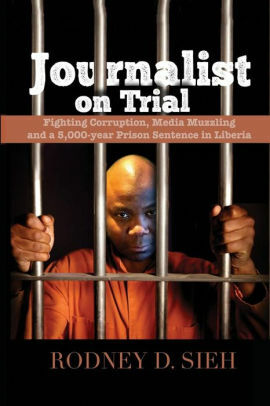 Gregory Coleman, the Director of the National Bureau of Concession (NBC), who launched the project, said NBC was concerned about the involvement of communities in operations of companies in their areas. He said that companies must address sustainable livelihood for communities. “When we speak of the sustainable livelihood, we are concerned about the alteration of basic activities due to the welcoming of the investment,” Coleman said. “Lands once used for farming, for fishing and, in some cases, hunting, access to herbs are not being altered. As the result people have got to continue to live, so we cannot restrict them to just sitting there and waiting for handout,” he said. Coleman commended SDI and the RSPO for the project. “All of the mismanaged expectations have been due to lack of proper communication,” he said. Coleman said all of the oil palm concession agreements signed between 2009 and 2013—including Golden Veroleum Liberia (GVL) and Sime Darby—contain RSPO requirements. Others—such as Equatorial Oil Palm (EPO) and the Maryland Oil Palm Plantation (MOPP)—have committed to adhere by the RSPO principles. Founded in 2004, the RSPO is an oil palm certification scheme that binds its member-companies to adhere to principles such free, prior and informed consent (FPIC) of local communities for sustainable growth and production of oil palm. It is a voluntary exercise and members can withdraw from it or have their membership suspended over breach of the scheme’s principles. In July 2018, GVL, Liberia’s largest oil palm company, withdrew from the RSP over complaints the scheme held from communities in Sinoe and Grand Kru Counties. However, the company announced in November 2018 that it was resuming its membership with the RSPO, and it has since started the rollout of a sustainability action plan.